At this time of year it is hard to find things in the farmers’ market that don’t demand to be roasted, stewed or turned into hearty pies or rich casseroles. 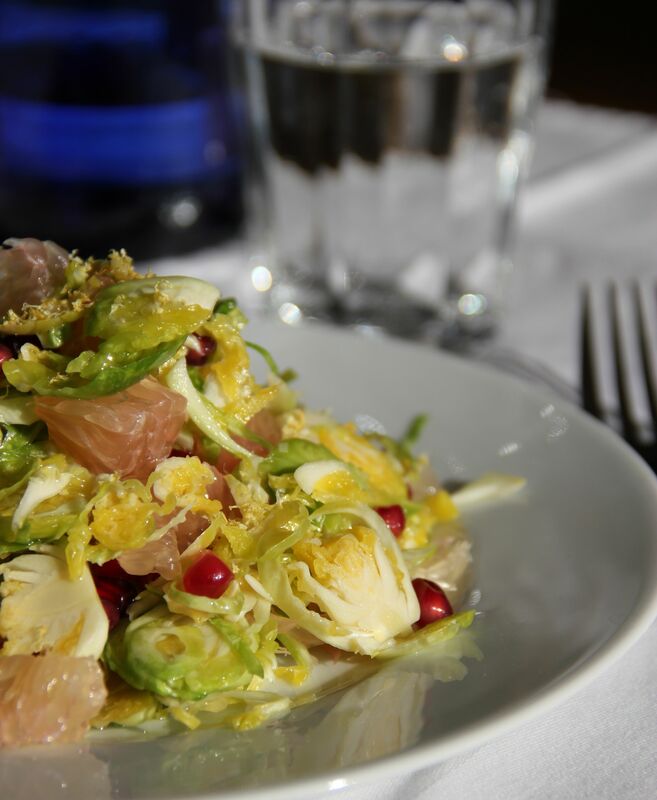 However, the humble Brussels Sprout, for so long maligned, but now darling of the Seattle food scene; is a remarkably versatile ingredient – and one that well deserves its newly found spot in the culinary limelight. I was recently offered a Brussels Sprout and Fontina Pizza, a step too far I felt, but I appreciated the audacity of the idea. These beautiful baby Brassicas are now a mandatory element of any self respecting menu in these parts, and rightly so (especially at this time of year). But I feel that they are at their best when they are the main event, and messed about with as little as possible. In fact, I dare you to relish them raw – experiment with clashing flavours of winter citrus for a surprisingly clean and fresh salad. Clementines, Mandarins and Tangerines abound at the moment, but search a little harder and you will find other more exotic, colourful delights that add a bit of additional bite and glamour . . . A sprinkle of pomegranate confetti transforms this most humble of vegetables into a lovely, sparkly little dish, a welcome respite from the overdose of root vegetable gratins and thick stews that my poor family has been putting up with for weeks! Serves two as a main/four as a starter or as a side dish – lovely with chicken or pork. 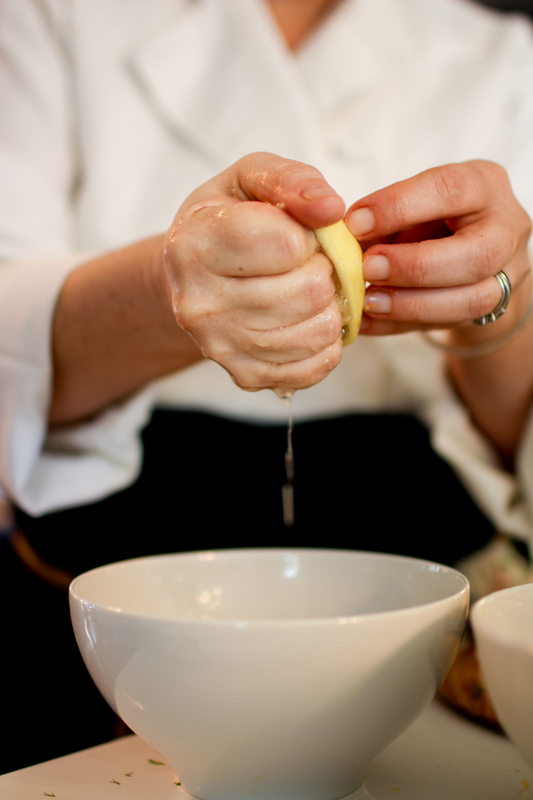 Whisk together the first four ingredients to form an emulsified dressing. Place in a bowl and set aside. Finely slice/shred the sprouts and toss them in the dressing. Remove the peel of the pomelo and pull away chunks of the flesh, being careful to peel away any membrane or pith. Halve a pomegranate and bash out the seeds over a bowl with the end of a wooden spoon. Rinse off the seeds in a colander or sieve and place on paper towel, so that they do not bleed over the salad. Carefully layer the shredded, dressed sprouts with chunks of pomelo. Scatter a little glitter of pomegranate seeds as you go, and crack a little black pepper just before serving. Eat now.